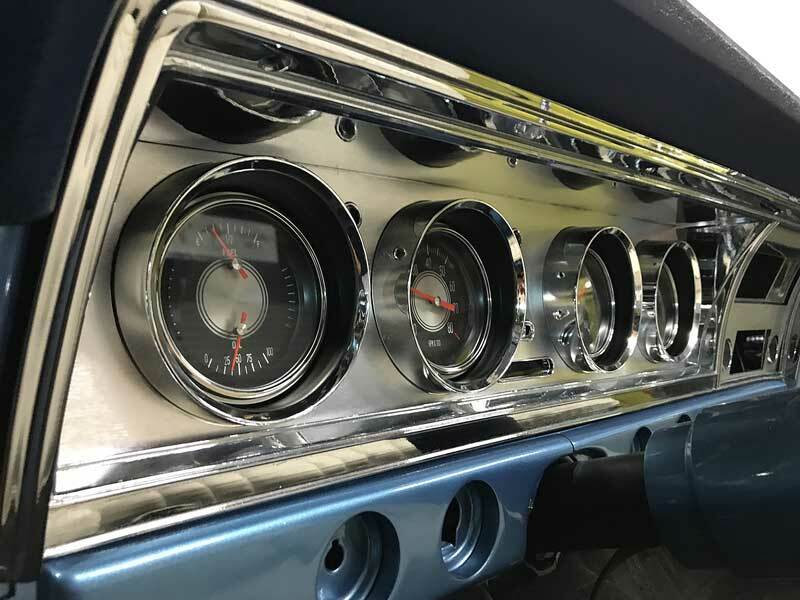 Custom gauge bezel for 1968 Impala models. 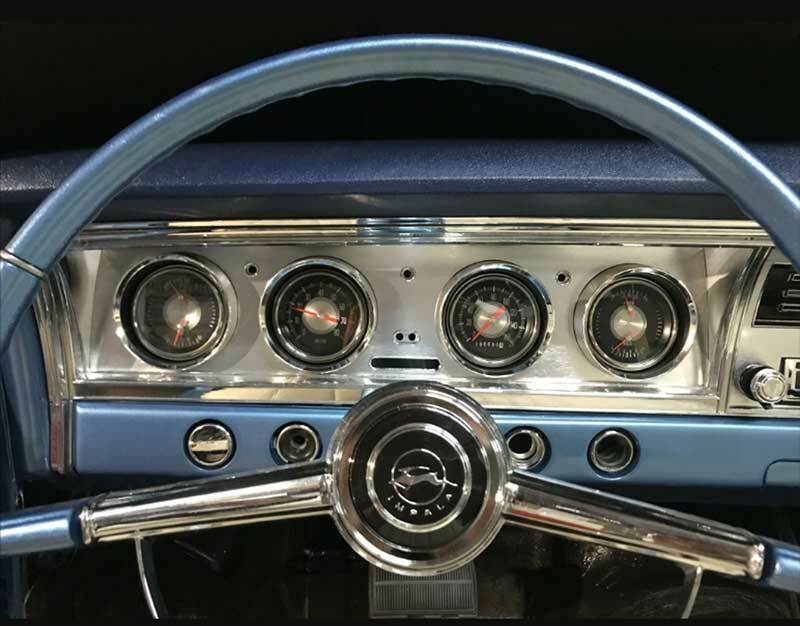 This all new instrument bezel is specifically designed to upgrade the stock 1968 Impala dash. Manufactured in quality injection molded ABS, chromed finished, and detailed with a brushed aluminum insert and black accents. 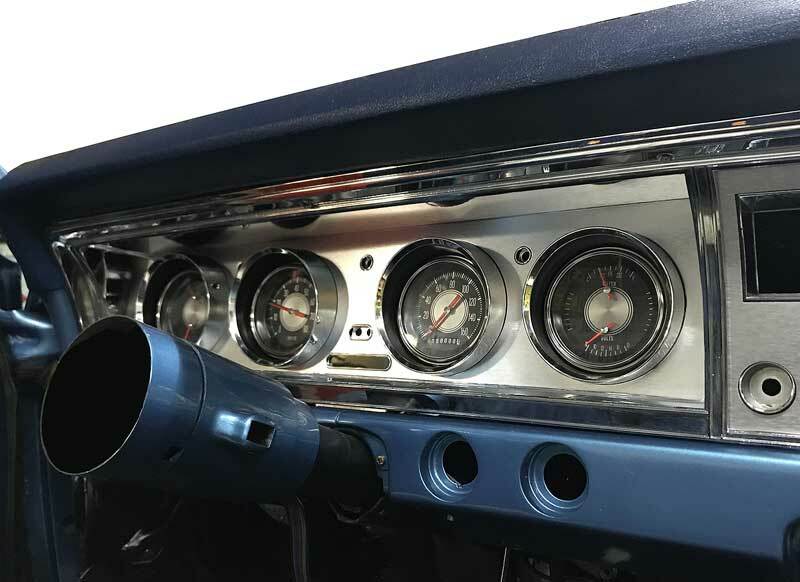 Designed to fit standard 3-3/8" aftermarket gauges, this custom gauge panel allows you to install brand new gauges to personalize and enhance your cockpit. Works with any aftermarket 3-3/8" gauges. Includes shift indicator lens and 3 and 4-speed shift pattern inserts for column-shift automatics. Note: Gauges and indicator lights not included.